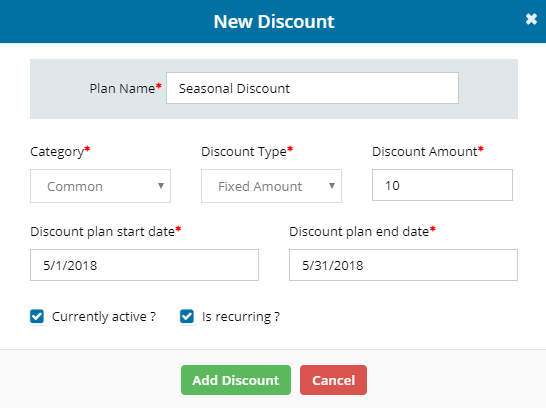 How to create a common based discount? Select the ADMIN menu from the Main menu. 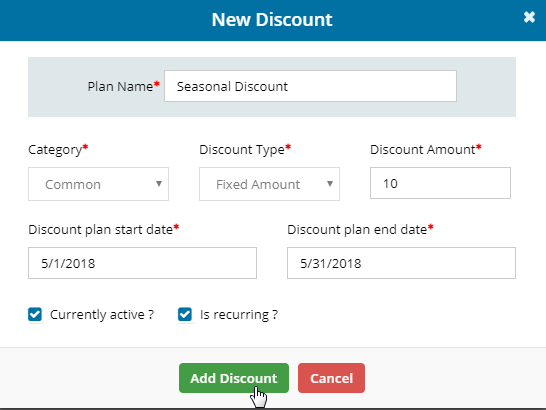 Select the discount as Common discount from the category drop down list. 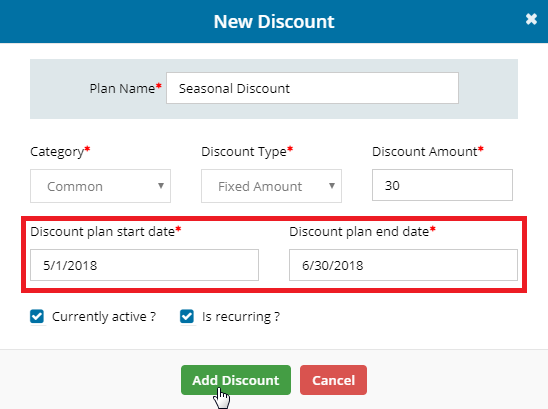 This common discount would be reflected as promotional plan discount while Move-In. Plan name field is customizible. The Start date and End date would be the desired date that you wish to offer the discount for the tenants. Choose the type of discount that you wish to opt for the tenants. 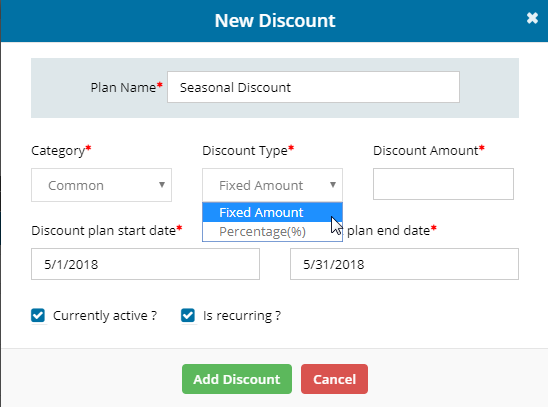 Set percentage or fixed amount that you wish to have. The discount value is the Amount that you wish to offer for the tenants. If you wish to make it as visible during the Move-In process and also even in the Promotional plans then select the option as Yes. 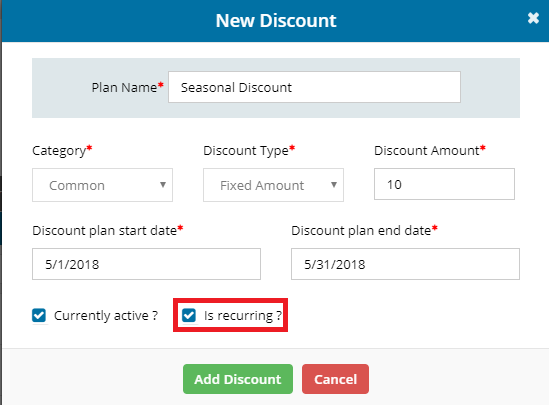 Once the discount is created then hit on Save button. 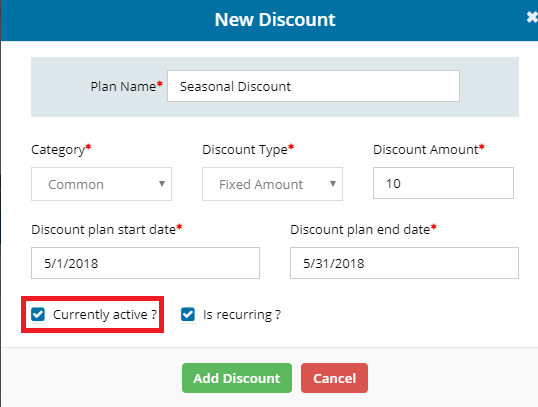 Once the discount is created, Proceed with the Move-In to select the created discount and also you could select it from the Lease page after the creation of Move-In.